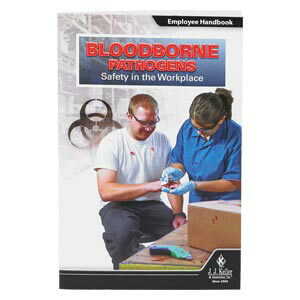 Helps satisfy OSHA Bloodborne Pathogen training requirements. Enhanced with the EyeCue Visual Learning System. English & Spanish available all in one program. Read more. (1) 23-Minute video enhanced with the EyeCue® Visual Learning System – Combines engaging video and editing technology with expertise from industry professionals at all levels. (1) Trainer Guide (English only) (not sold separately) – Provides you with background information and training tips to make the most out of each training session. 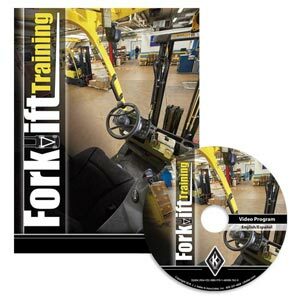 (11) Employee Handbooks (10 English; 1 Spanish) Product Codes: 43254, 43253 – Reviews key points and includes a quiz to check trainees' understanding of the material. Also includes a training receipt page. (2) Awareness Posters (1 English; 1 Spanish) Product Codes: 43256, 43251 – Hang in a break room or training area to provide a daily reminder of the importance of protecting yourself against bloodborne pathogens. (20) Wallet Cards (10 English; 10 Spanish) Product Codes: 48976, 48977 – Use to verify that your employees have received training. 2 sheets of 10 cards each. (1) EyeCue® Tag Pack – Set of topic-specific tags, magnets, stickers, floor signs and window clings for use in your workplace. 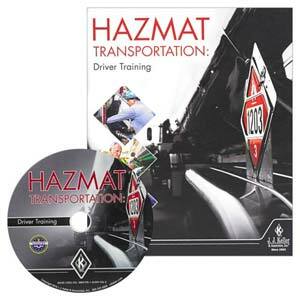 Includes 45 tags covering a number of safety issues. 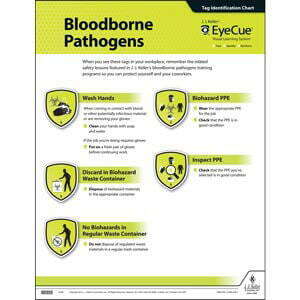 (10) Stickers – Bloodborne Pathogens Biohazard PPE Reminder, 3" x 4"
(10) Magnets – Bloodborne Pathogens PPE Inspection Reminder, 3" x 4"
(10) Tags – Bloodborne Pathogens No Biohazards In Regular Waste Container Reminder, 3" x 4"
(5) Window Clings – Bloodborne Pathogens Wash Hands Reminder, 4" x 5"
(5) Floor Labels – Bloodborne Pathogens No Biohazards In Regular Waste Container Reminder, 8" x 9"
(5) Stickers – Bloodborne Pathogens Discard In Biohazard Waste Container Reminder, 8" x 9"
Introduction – Explains that the Bloodborne Pathogens Standard (29 CFR 1910.1030) set forth in 1991 establishes important training requirements and safe work practices to protect general industry employees. 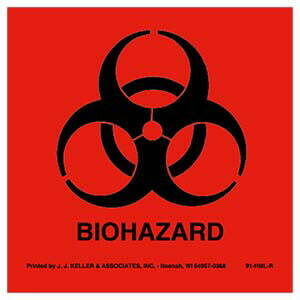 Bacteria, viruses, and other pathogenic microorganisms that live in blood and certain other body fluids. 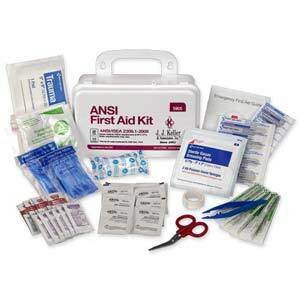 Can cause serious diseases like hepatitis B, hepatitis C, HIV/AIDS, malaria, Ebola, and others. 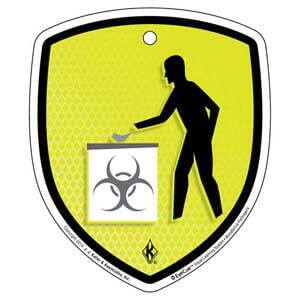 Explains possible routes of entry and who is at risk—general industry employees who are reasonably anticipated to come into contact with blood or OPIM (other potentially infectious materials) as a result of performing their assigned job duties. 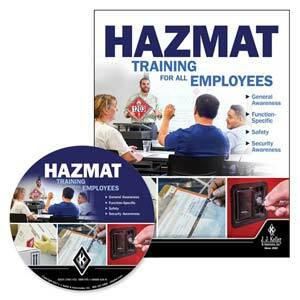 When You Experience an Exposure Incident – Reviews the important steps to take and why. 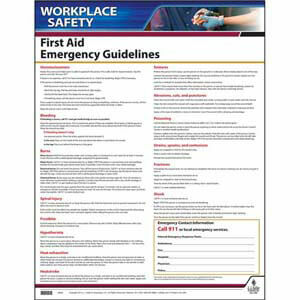 When You Observe an Injury – Lists the important precautions to take and why. 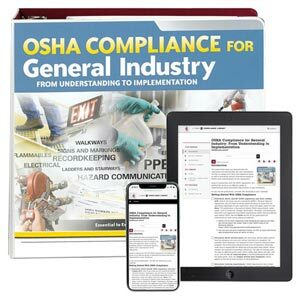 Exposure Control Plan – Explains that your employer must maintain a comprehensive written exposure control plan and make it accessible to employees. 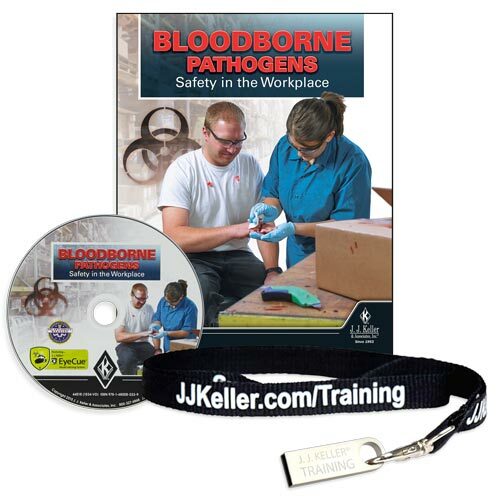 Conclusion – Summarizes the key information learned in the program and encourages viewers to use their knowledge to be prepared when called to take action involving blood or OPIM in the workplace. 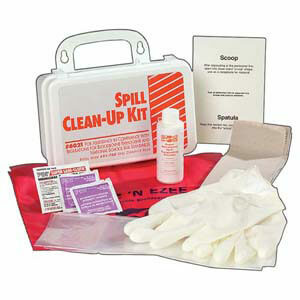 What if you suffer an exposure incident?